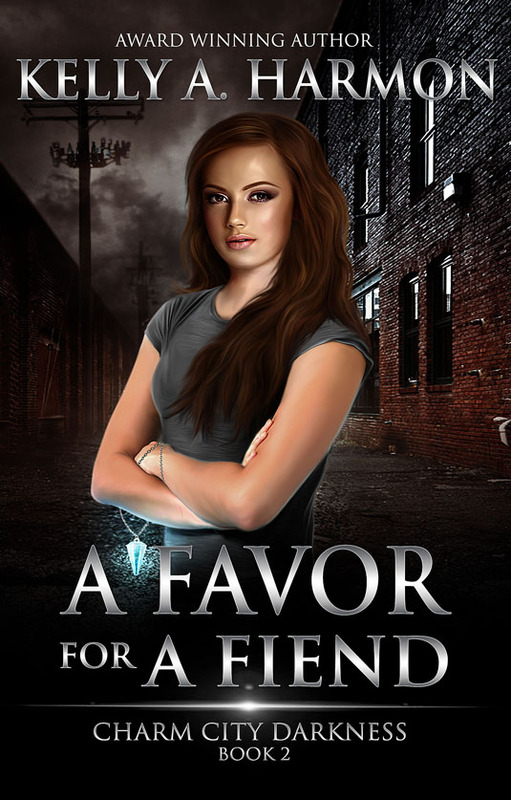 The second book in the Charm City Darkness Series, A Favor for a Fiend, by Kelly A. Harmon. The third book in the Charm City Darkness Series, A Blue Collar Proposition, by Kelly A. Harmon. 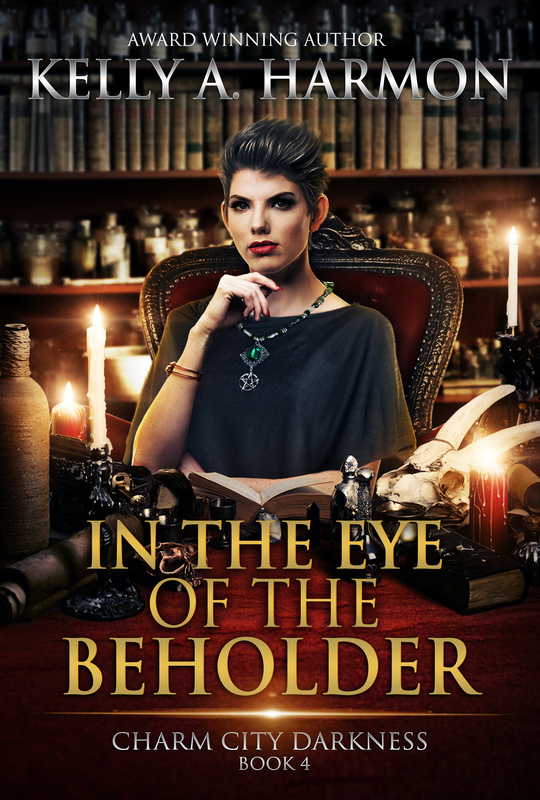 The cover of the fourth book in the Charm City Darkness series by Kelly A. Harmon, In the Eye of the Beholder. "Light, From Pure Digestion Bred," published in Occult Detective Quarterly, London, July 2017. Two more novels, and several short stories, are planned. The series follows Assumpta Mary-Margaret O'Connor--a young woman with a gift: the ability to find lost things. In the first book, Assumpta agrees to help a local archeologist find something he lost. And as the saying goes: no good deed goes unpunished. Things take a downturn from there. The first five chapters of Stoned in Charm City by Kelly A. Harmon. Cover of the fourth book in the Charm City Darkness Series, In the Eye of the Beholder. 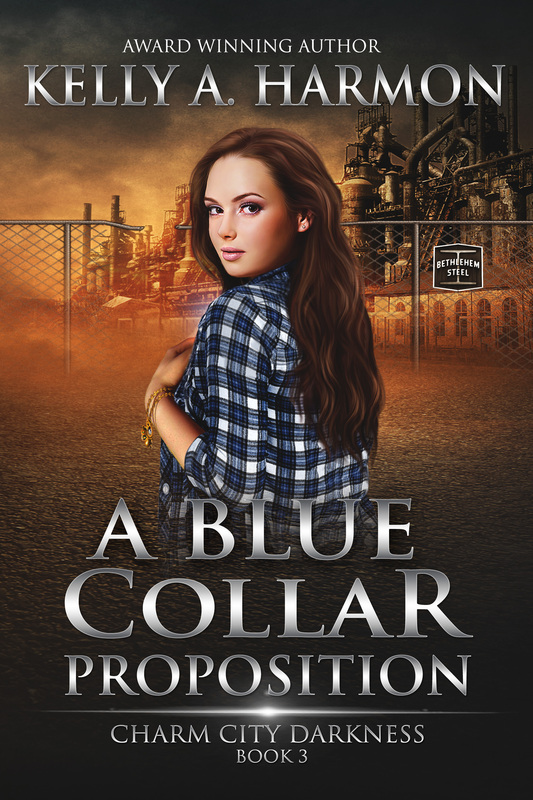 The cover of A Blue Collar Proposition, the third book in the Charm City Darkness series, by Kelly A. Harmon. 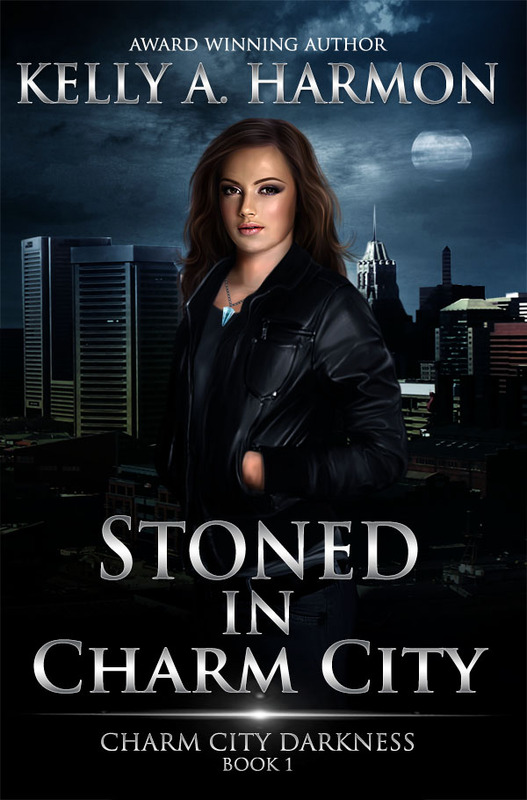 Why did I write Stoned in Charm City -an urban fantasy with gargoyles (the "stone") and demons, about a young woman - Assumpta Mary-Margaret O'Conner -who found herself in the middle of a battle for good and evil in Baltimore (the "Charm City")? In short, because the voices in my head wouldn't stop. Her voice in my head wouldn't stop. Read the brief essay below, written shortly after I finished the finished the first Charm City Darkness novel, to explain why I tackled a contemporary genre outside of my literary wheelhouse. When the opportunity presented itself to brainstorm and co-edit a collection of stories, I jumped at the chance. Three years later, three collections are published, and two more are planned for 2018. Editing consisted of reading hundreds of stories for each collection and winnowing them down to a select few--then editing the best. Editing is almost like teaching, in a sense. You present the author with some suggested changes based on a style sheet, or grammar rules (made to be broken!) or theme, and have a discussion about the whys and wherefores before any changes are made. But it's also a learning process for the editor. You read hundreds of stories and begin to see what subjects work together thematically, how story works more clearly, what plot devices you can employ to tell a story better. Without a doubt, working as an editor has made me a better writer. 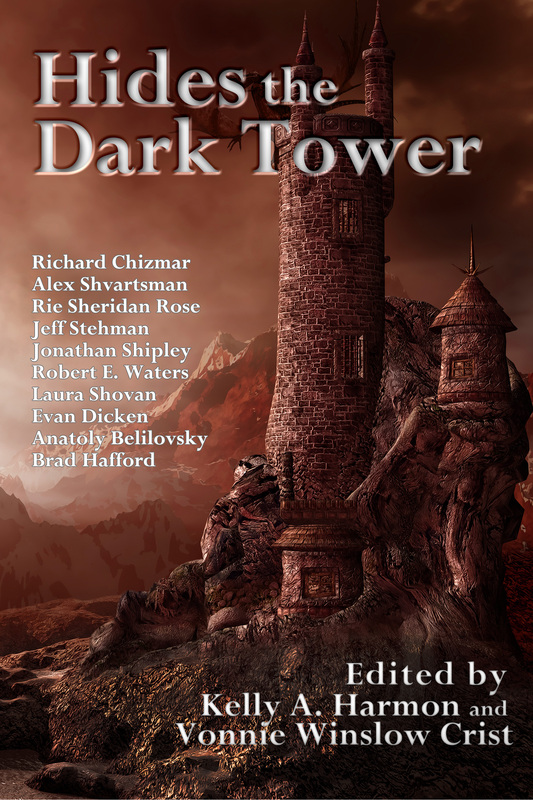 Hides the Dark Tower is a collection of stories based on the theme of "towers." It includes stories about castle towers, circus towers, lighthouses, the Baltimore Shot Tower, and others. 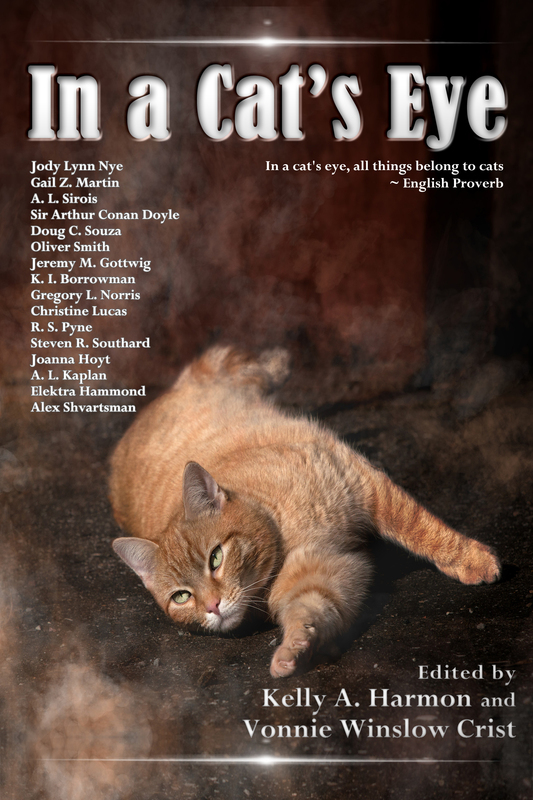 The title of In a Cat's Eye was derived from the English Proverb, "In a cat's eye, all things belong to cats." When we put out the call for submissions, we had no idea what kind of cat stories we would receive. We waded through over 200 stories to find these: stories about Egyptian cats in the time of the pharaoh, cats during the Victorian era, robotic cats, cats in space and typical neighborhood cats. Each story gives a glimpse into the mysterious lives of cats. 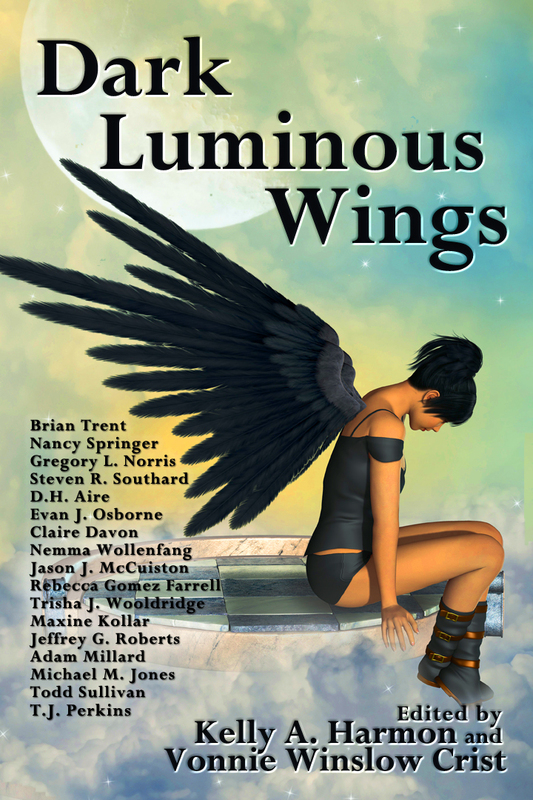 Dark Luminous Wings is a collection of stories about winged things. It includes seventeen stories about feathered wings, mechanical wings, leathery wings and steel wings. Stories about angels, astronauts, dragons and more. 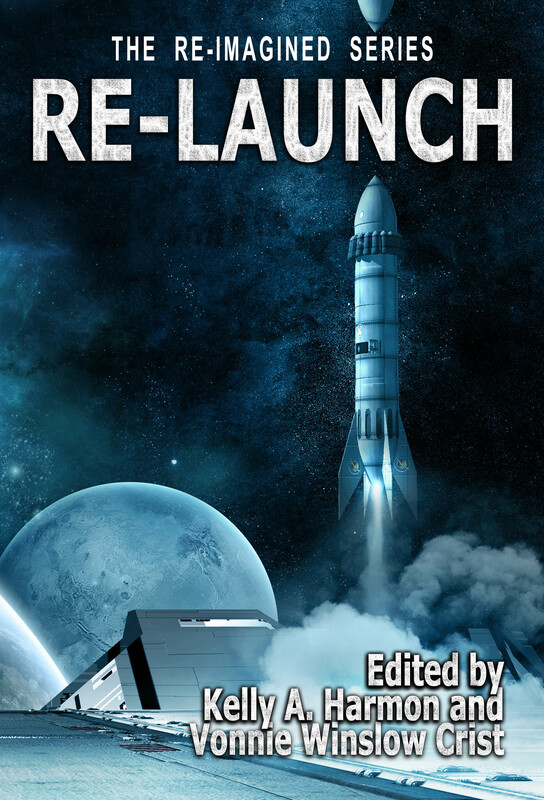 The preliminary cover for a 2018 collection of stories about "re-launching." The final cover will include all the names of the authors chosen for the book. Many authors have helped me on my writing journey. I try to pay this forward by writing essays about the craft, volunteering to teach workshops at conventions, and answering letters and email with as much detail as possible. Sometimes, I get the opportunity to guest post on other people's blogs. My favorite essays to write are those about author "mind set." I believe too many of us limit our creativity by unknowingly placing boundaries or constraints upon ourselves. I plan to gather all these essays and blog posts and teaching plans and sew them together into a cohesive manuscript aimed at young writers. A short essay on freeing creativity by not becoming dependent on your writing "tech." A brief essay about getting past procrastination and getting words on the page.